Monotony is not the answer to your beauty dilemma and you will surely fail if you stick to one tone and boring hair color. So what is the right way to have modern and eye catching look? There is way out. 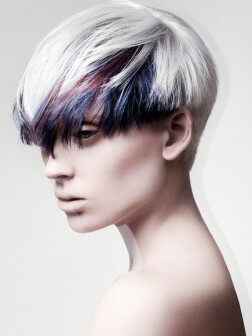 Go for multi tonal hair color and you will never get back to monotony. Don’t you think that it is more beautiful to wear natural hair spiced up with few highlights? Modern hair highlighting ideas and coloring techniques take you to a new world of colors and styles where you are totally free to use your imagination and do whatever you want. You can find any unimaginable color combo that will brighten up your look and totally transform your image. Thanks to infinite shades and undertones of vibrant colors you will not be limited in options. The style of hair highlighting is the best part of your transformation. Here too you will have numerous options; horizontal and vertical strands, dip dying and paneling, chunky highlighting and so on. It is not an easy thing to find the most flattering style and color of highlighting and you can easily make a wrong choice. The best way to stay away from hair disasters is to ask pro colorist who will find flattering color and style of highlighting for your haircut.